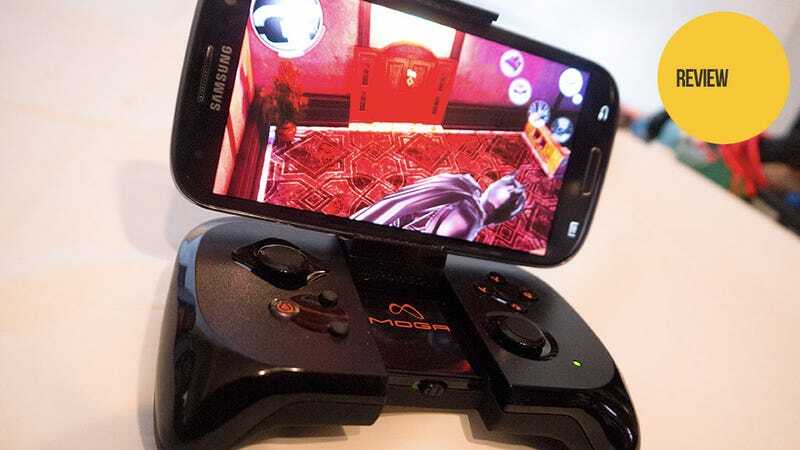 On October 21 Power A makes a bid for the blossoming Android game controller market with the MOGA, the innovative game pad/phone dock I've been pretty excited about since its announcement earlier this year. Now that I've had a week alone with the MOGA I'm still enthusiastic, but the unit's success hinges on much more than performance. The Android controller race isn't about getting hardware into the hands of the players; anyone can pick up a Bluetooth controller and play games that support the feature. The key is support—programming a touch screen-friendly game to use a game pad is a hassle that many developers don't have time to bother with. Power A is approaching that problem by offering developers tools that allow them to integrate support for the MOGA into their games relatively painlessly. Apps that support the device will be featured in the MOGA Pivot App, a combination marketplace / launch pad for enabled titles. This two-pronged attack has already lured the likes of Atari, Gameloft, Namco Bandai and Sega, to name a few, and the fact that the MOGA is subject to a major push at retail that includes Toys 'R' Us, I expect more mobile developer attention in the coming weeks. The thing is I can't review what might happen; I can only tell you folks about how the game works according to the games supported right now. It's a joy to use, really. Simply clip in your phone (or leave the MOGA folded and use it with a tablet), pair it up, launch the MOGA Pivot App (or just a supported game) and you're ready to rock. Allow me to demonstrate. It's compact and comfortable, well-suited for extended periods of gaming, something I'm not quite used to doing on a mobile phone. If you've never played an Android game long enough to know how long you can play on a full phone charge, you'll know once you've procured a MOGA. The face buttons are nice and responsive. The shoulder buttons make aiming and shooting in Gameloft's N.O.V.A. 3 a breeze. The Dark Knight Rises (ha, they spelled it wrong) plays like a whole new game with the MOGA; I enjoy it much more now than I did playing with touch controls. I only wish that I could open the MOGA a bit wider. The unit's construction limits it to about a 135 degree open angle, which is fine. I just wouldn't mind it opening flat—that's how I play my Nintendo 3DS. I have no complaints about the MOGA's performance. It really is an excellent way to play games like Sonic CD, Wild Blood, The Dark Night (hee) Rises and the other games that support the device. It all comes down to support, however. Currently there are more than 40 games set to work with MOGA from the get go. Whether or not you drop $49.99 on a unit come October 21 likely depends on the titles you find there. It's a growing list—time will tell if it grows quickly enough.